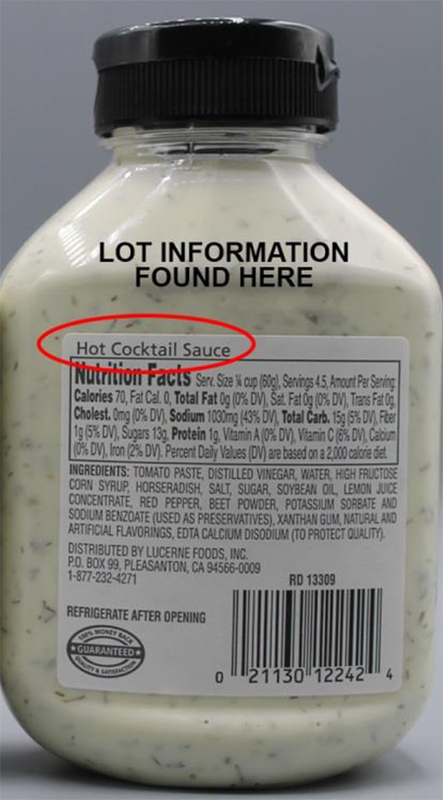 Silver Spring Foods, Inc. mass produces Waterfront Bistro’s Tartar Sauce and have recently recalled it due to mislabeling and undeclared allergens. An incorrect back label was attached to the tartar sauce bottles which do not specify a specific ingredient: egg! People with egg allergies may be at risk for serous or life threatening allergic reactions if they consume this product. The recalled product has a Best By date of JUL 31 18 S3551 or AUG 28 18 S3351 and an incorrect UPC barcode: 21130 12242 (Hot Cocktail Sauce). It is advised to not consume this product and to return it to the place of purchase for a FULL REFUND! For more information on recalls, please visit Pirl’s Health & Safety Recall Page!